Hi, my name is Cole Dunn and I am serving on the 2018-2019 Student Government Board. 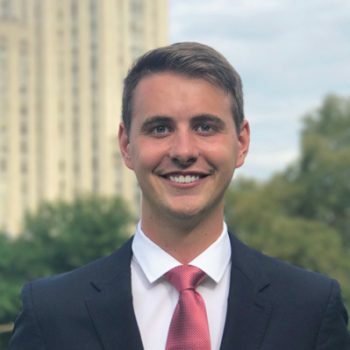 I am a Finance and Accounting major and I am also minoring in Political Science and Economics as well as pursuing the Data Analytics Certificate. I’m from about 30 minutes north of Pittsburgh and have been attending Pitt sporting events since before I could walk. At Pitt, you can also find me in clubs such as Phi Beta Lambda, the Undergraduate Finance Club, the Socially Responsible Investment Portfolio and Pi Kappa Phi. If you have any questions feel free to reach out to me at csd44@pitt.edu. Fun Fact: I have six sisters!